Traditional wisdom says that to stop a dog jumping up, you ignore the errant behaviour ie you turn your back each time Fido jumps up. That sometimes works but often doesn’t. Well, ‘ignoring errant behaviour’ is only half the solution. You still need to teach your dog what TO do. You need to give your dog an alternative strategy. So, here’s a fun training technique that does exactly that – it teaches your dog how to behave around people, keeping 4 paws on the floor!  As your dog comes towards you (before he jumps), click or use a click word like ‘good’ and put a treat on the floor. 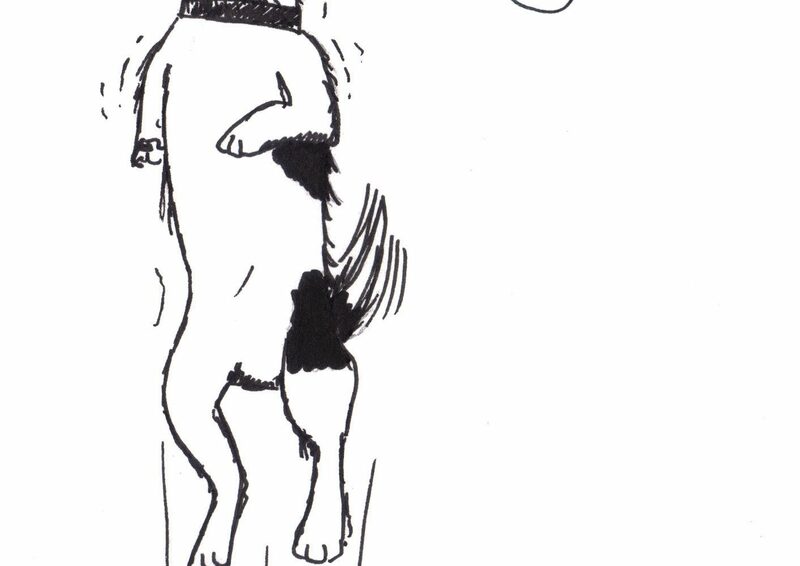 Repeat steps 1 and 2 many times so your dog gets in the habit of moving towards you but never jumping on you. Putting the treats on the floor is important – keeps your dog’s focus – and his feet – on the ground and means your dog anticipates the treat coming from the ground not from you/other people. Once your dog is doing this reliably, you can delay the click or click word (for a brief moment) until your dog reaches you and is standing calmly – then put the treat on the floor. If your dog consistently gets this right then it’s time to start ‘proofing’ the behaviour ie training it in different situations. Start easy: get another person to come in the room and just click and treat your dog for being calm around them. Gradually – and I mean gradually! – get the other person to be ‘distracting’. Have them make eye contact or briefly say hi to your dog. If your dog is getting this right, you can gradually increase ‘duration’ ie the length of time the person is being distracting. See my other article about “The 3D’s” for tips on how to use duration, distraction and distance. Now practise in as many different situations as you expect Fido to meet and greet people – in the park, at friends’ houses – until your dog is getting it right EVERY time in every situation. Make it fun! 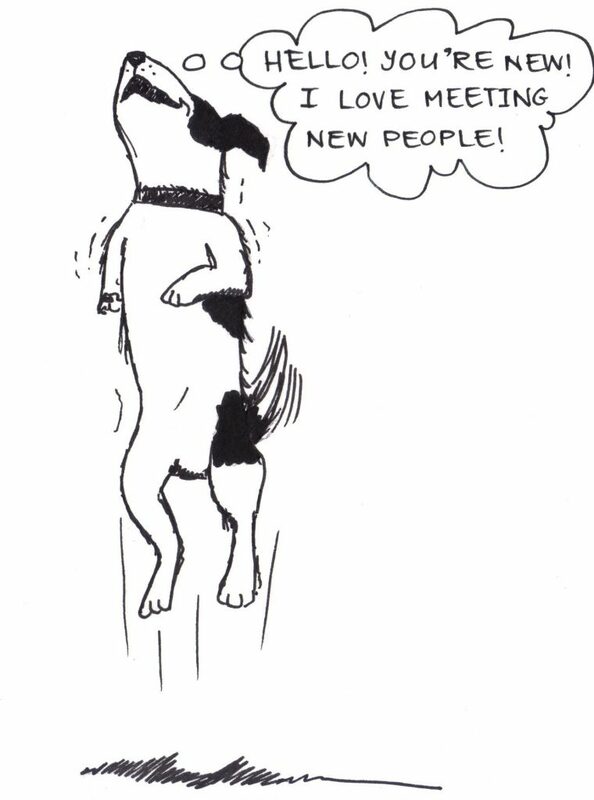 If its fun, your dog will choose this behaviour (over the previous ‘jumping behaviour) because its more rewarding. Et voila, no more jumping up!